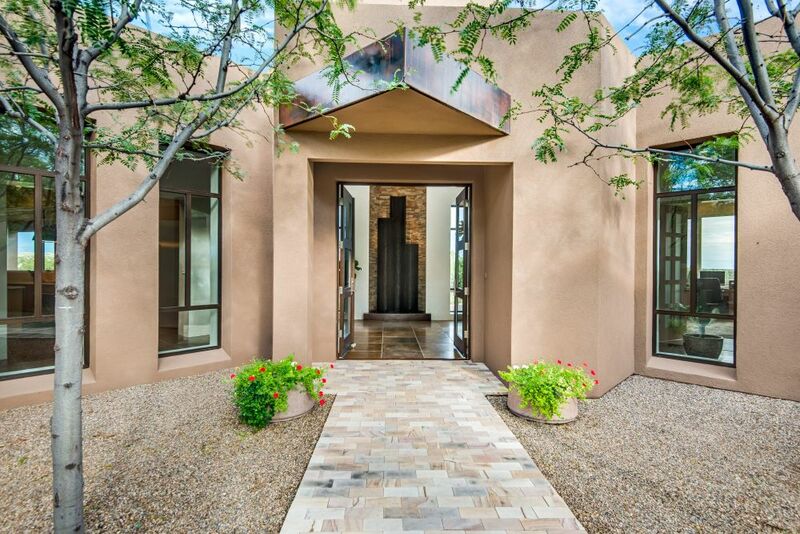 To see this remarkable home is to fall in love. 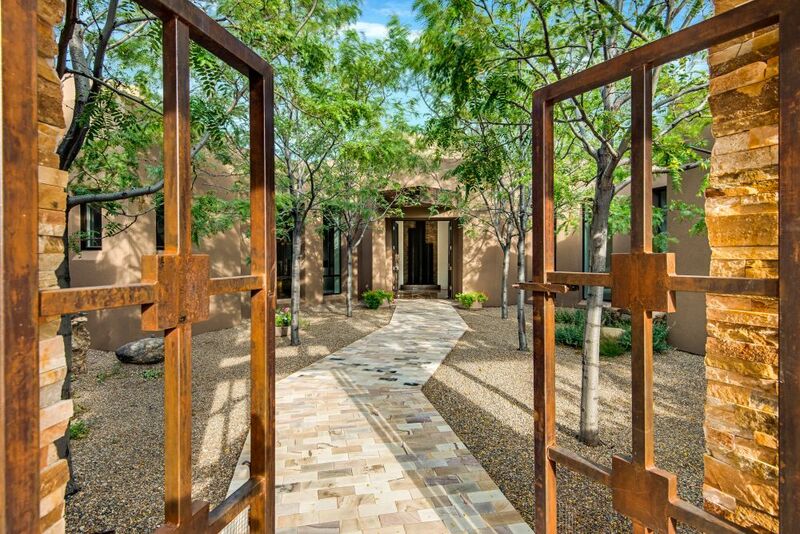 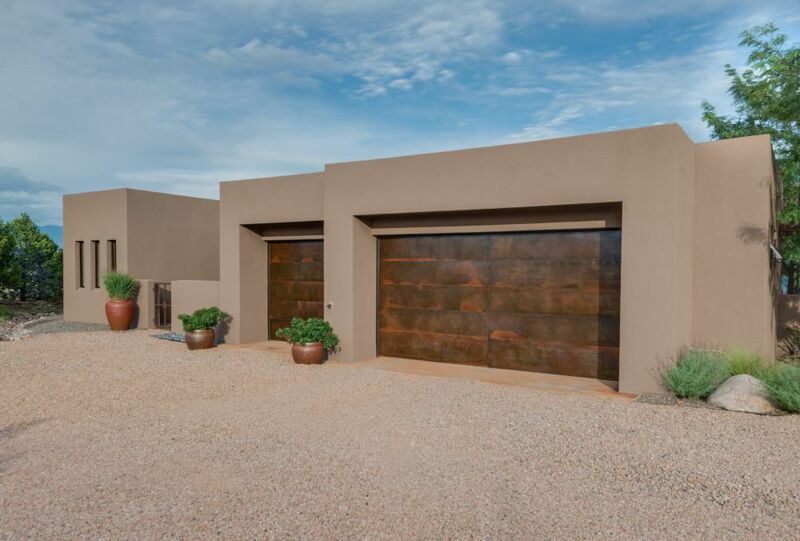 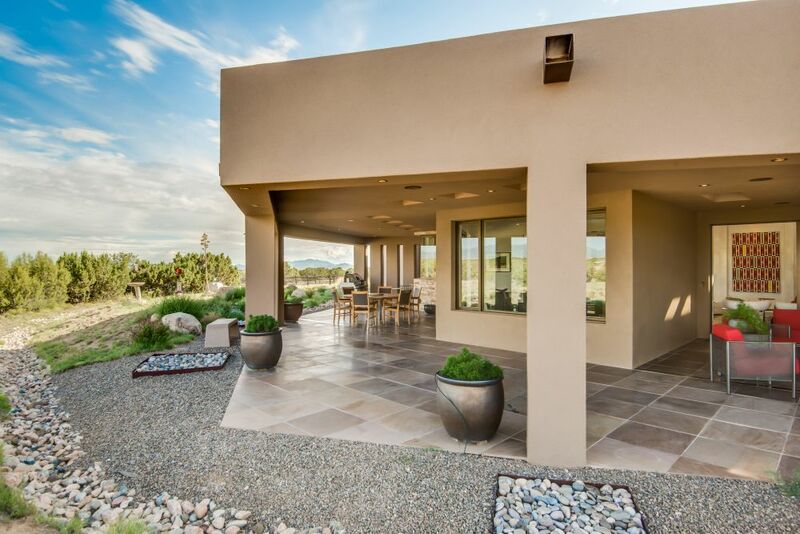 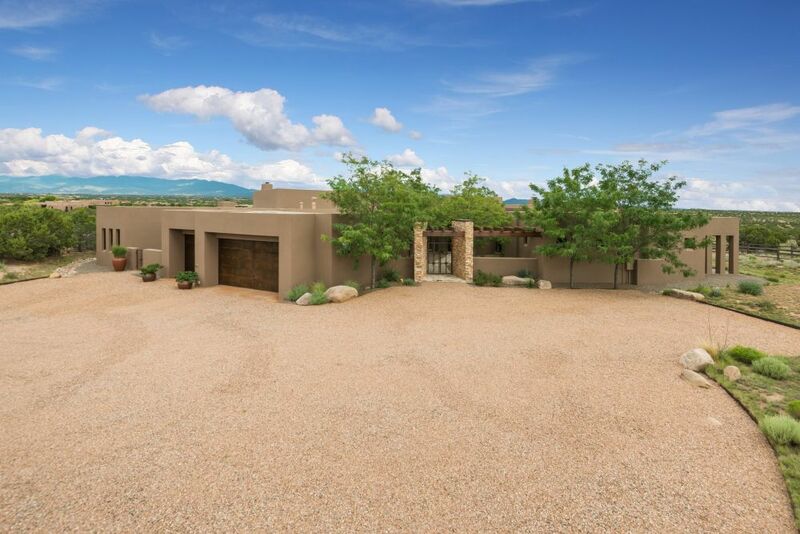 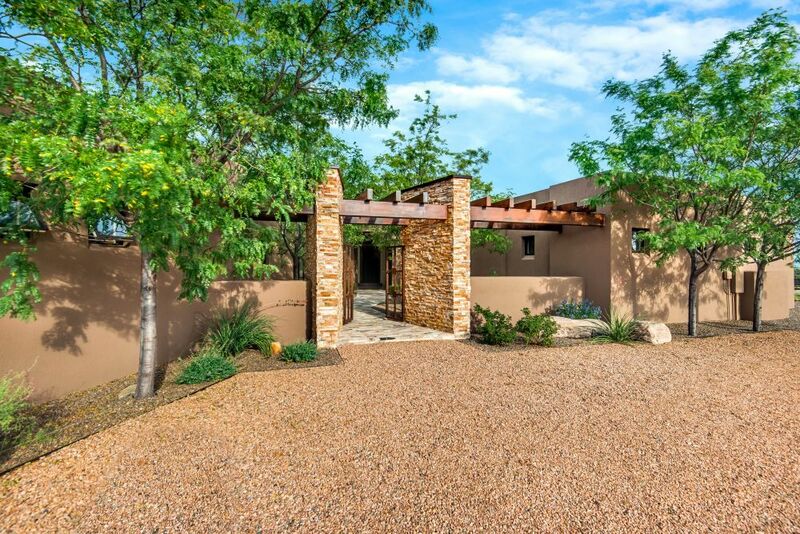 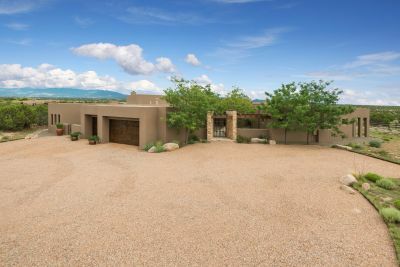 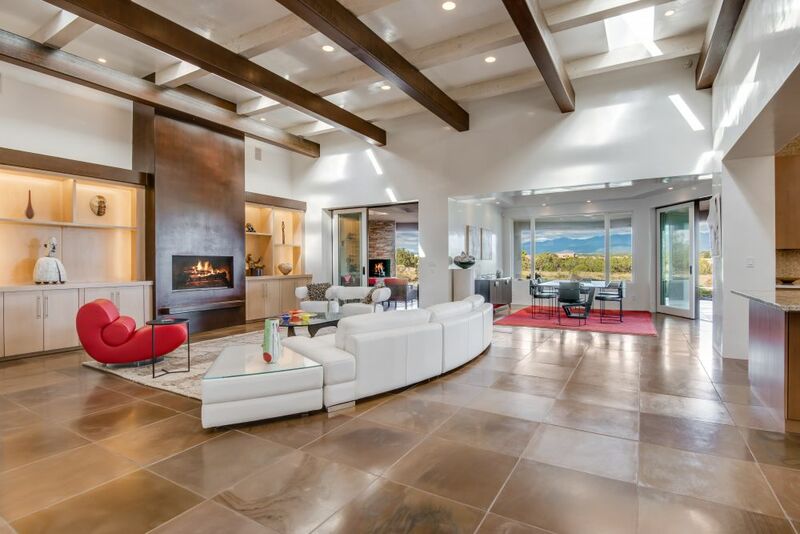 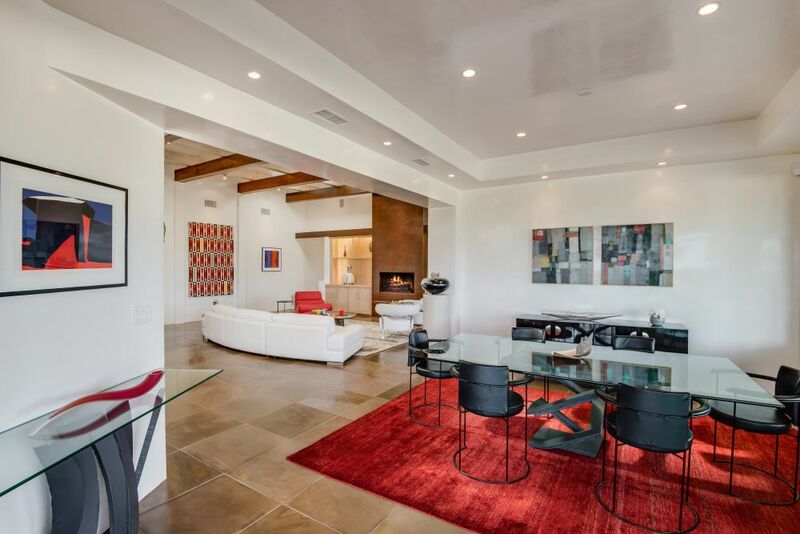 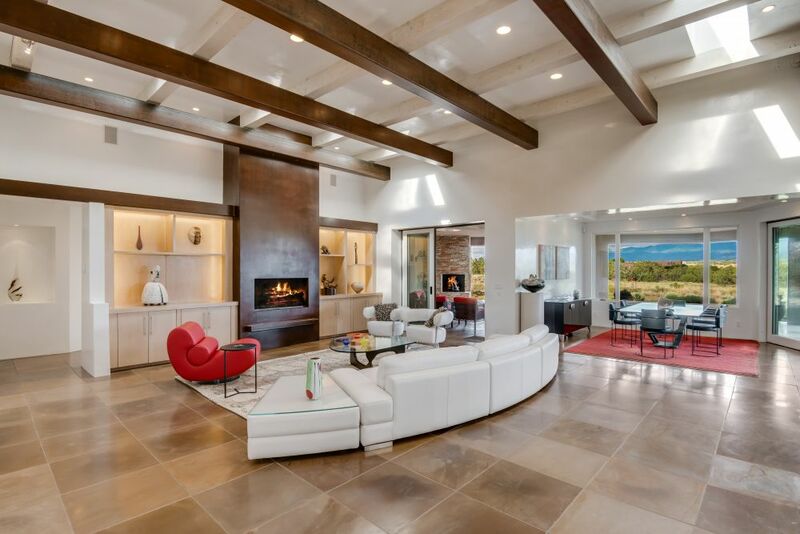 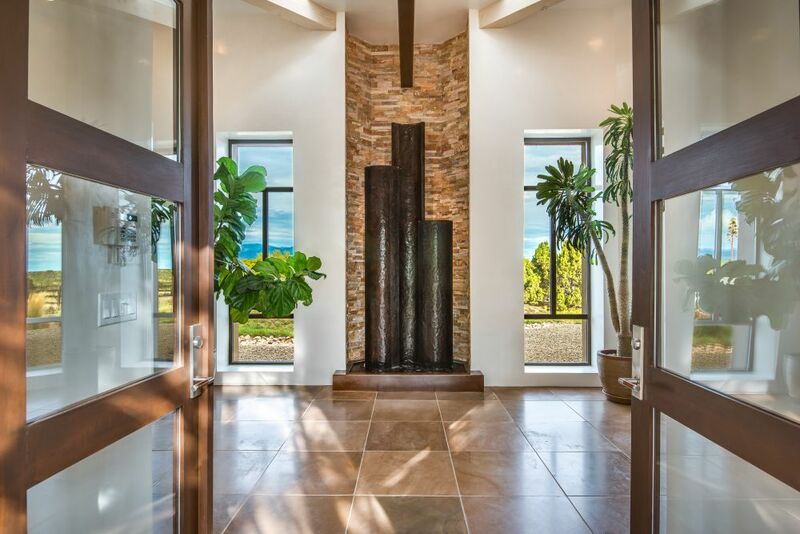 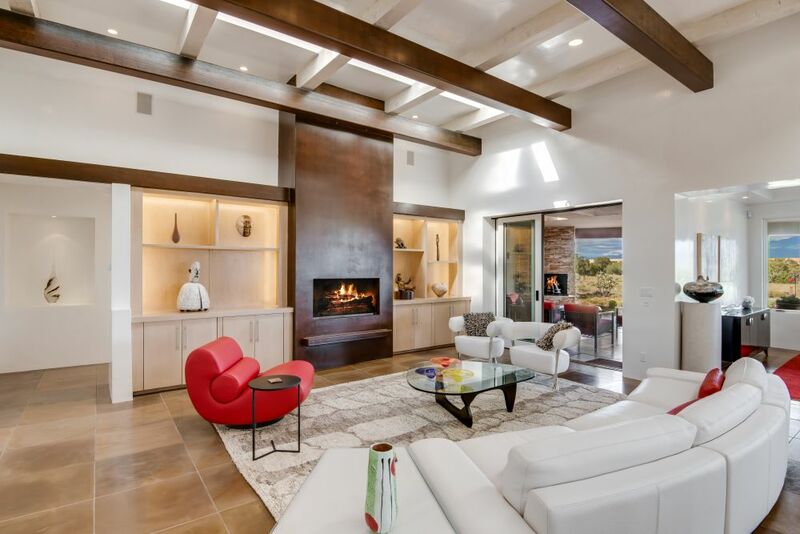 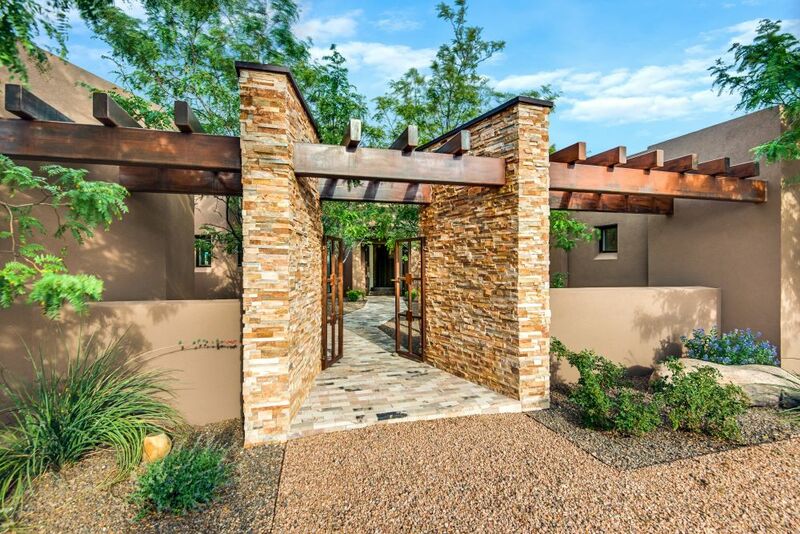 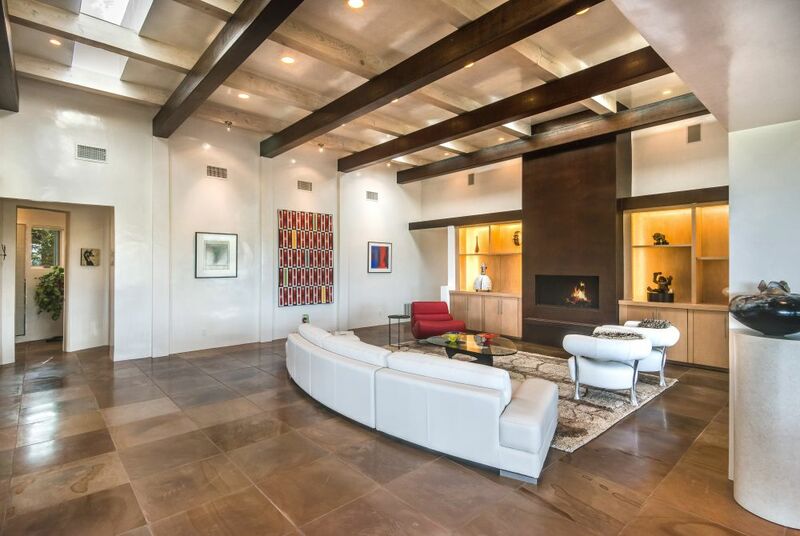 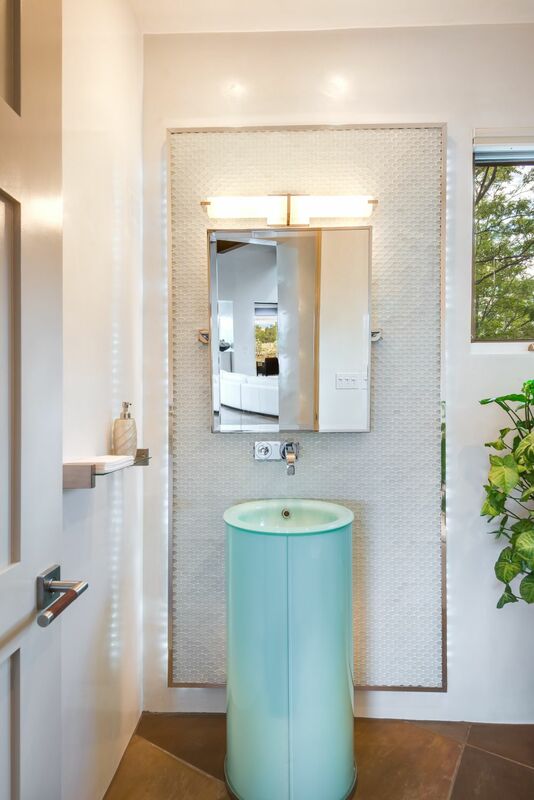 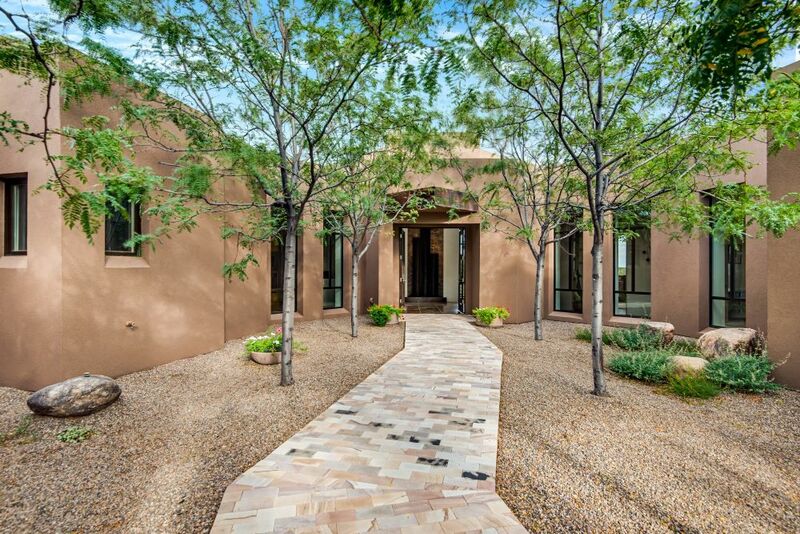 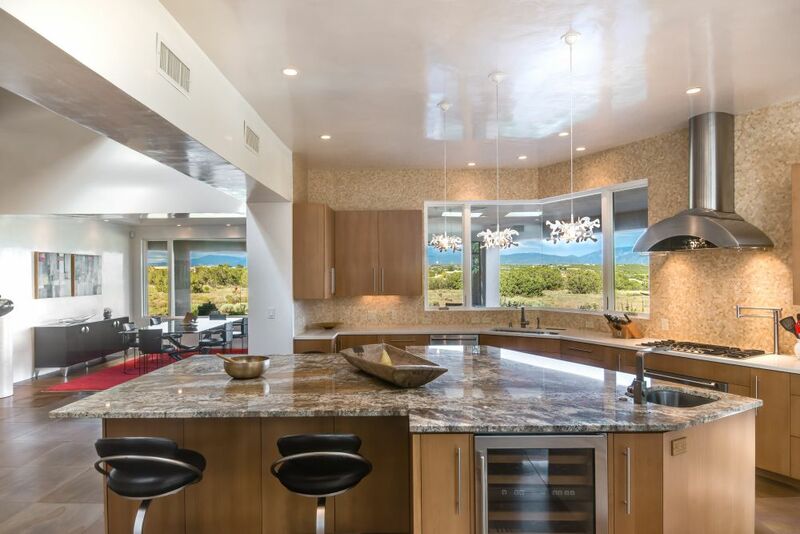 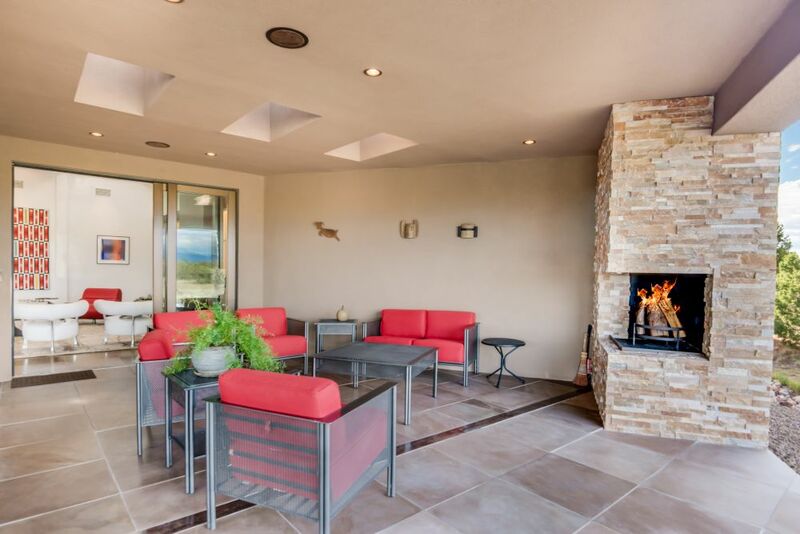 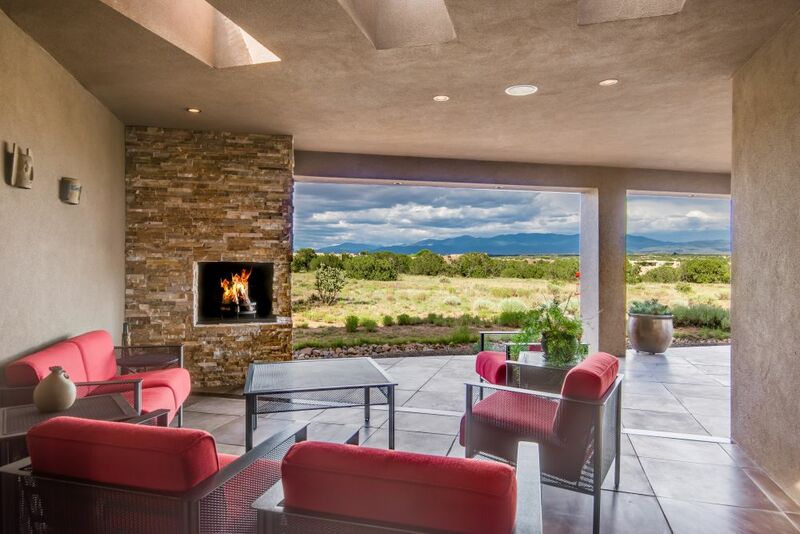 Dazzling contemporary design, sensational finishes & chic southwest aesthetic. 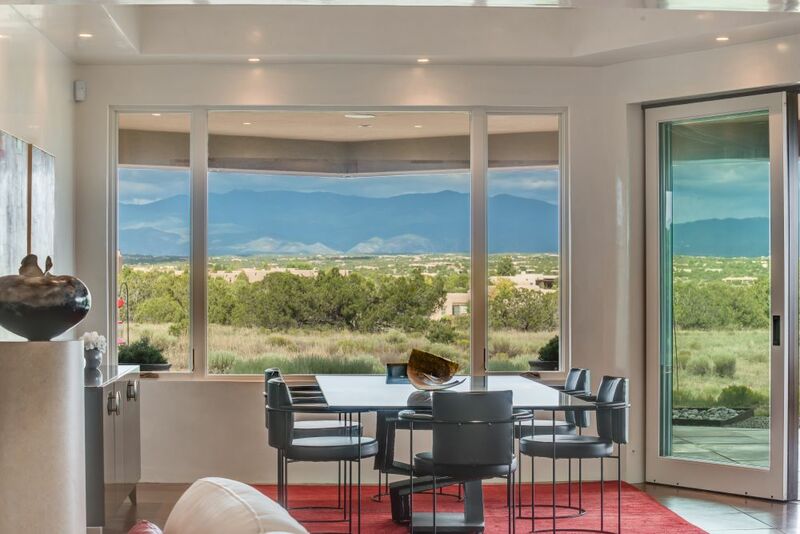 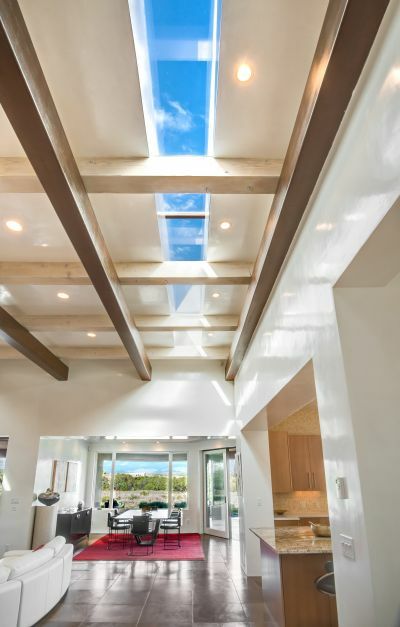 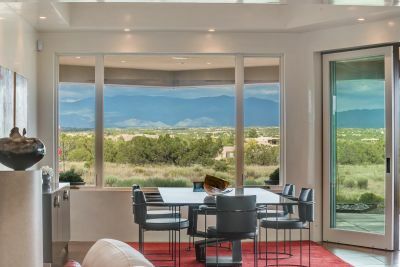 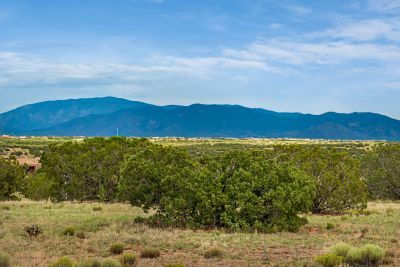 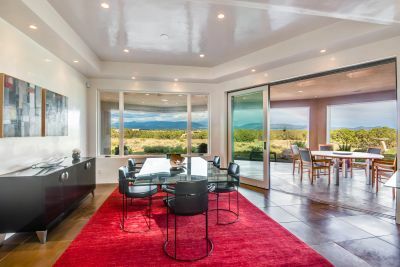 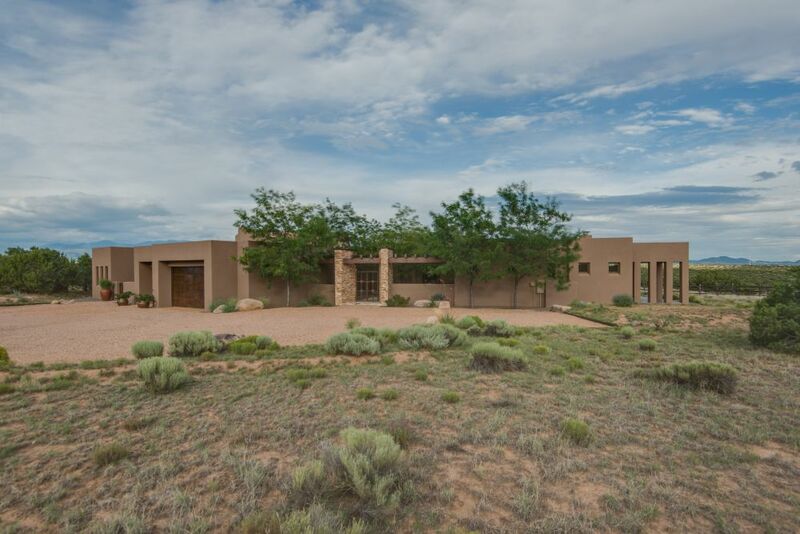 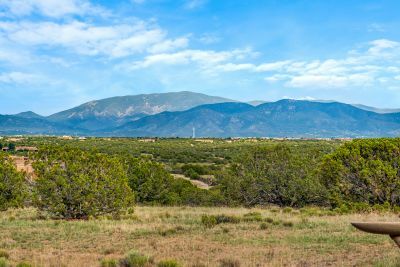 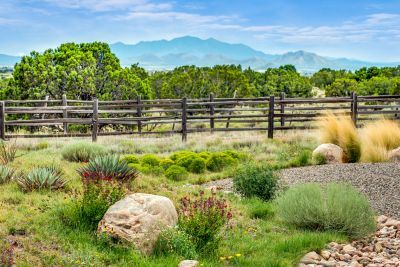 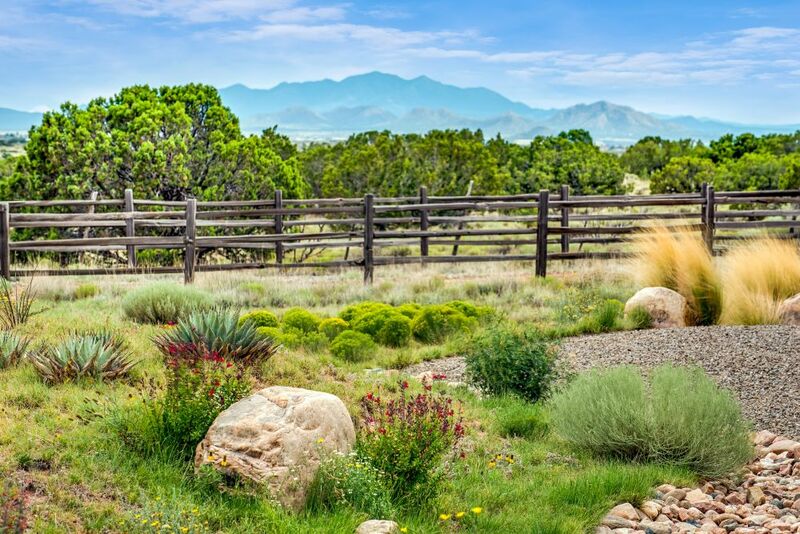 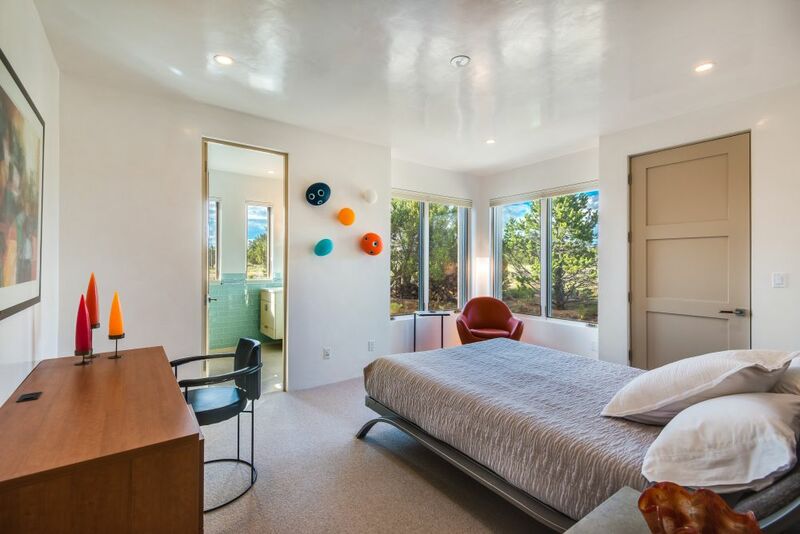 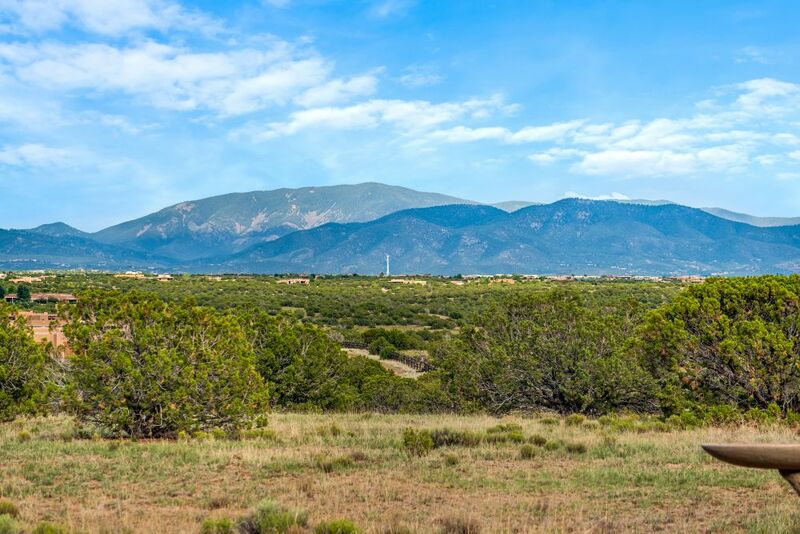 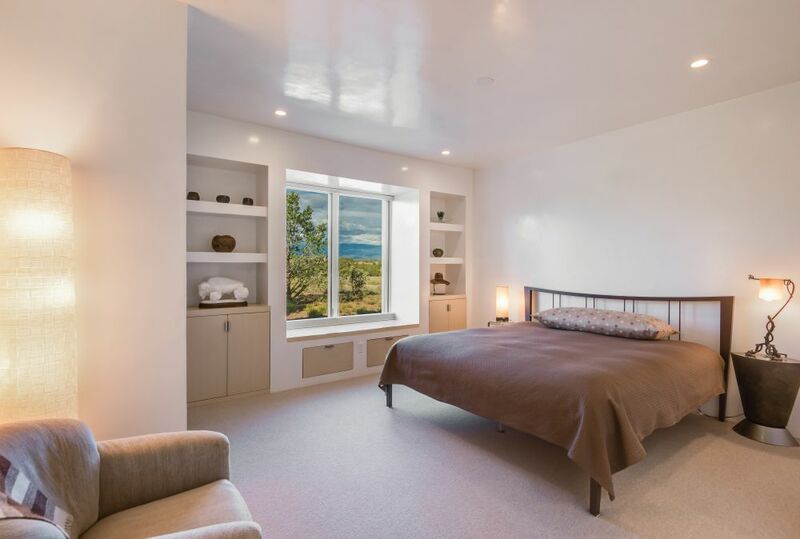 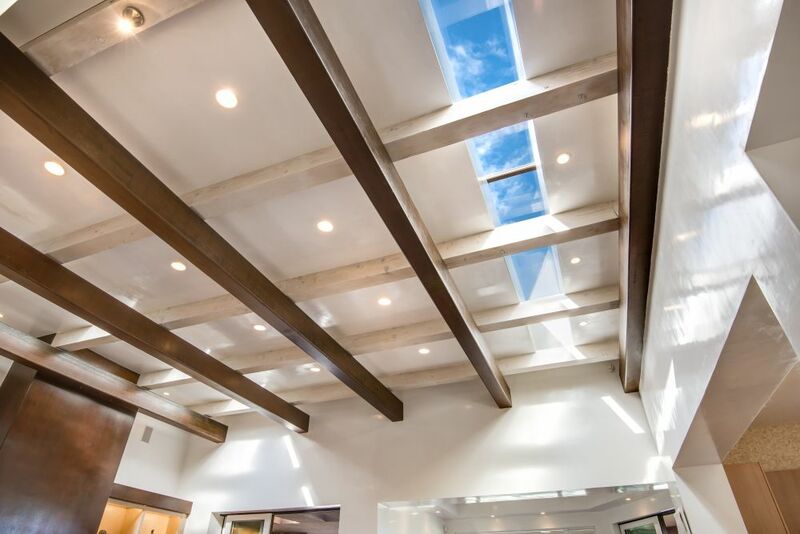 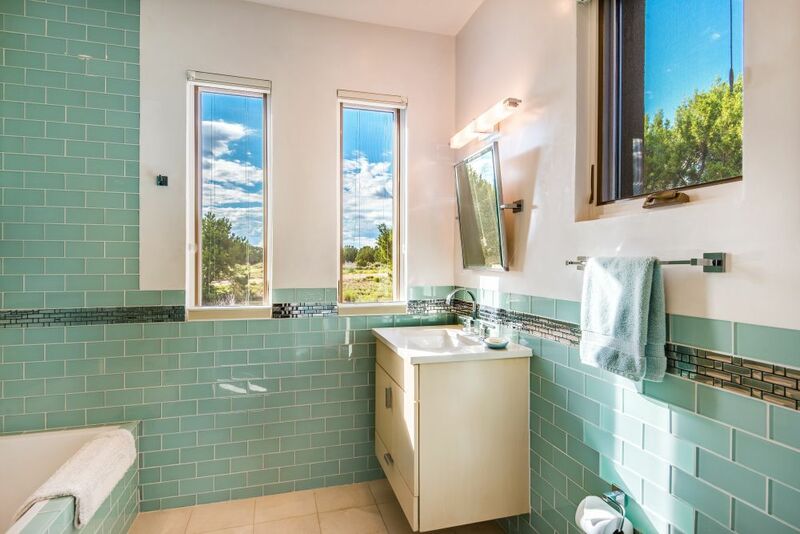 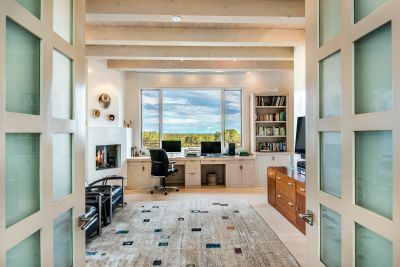 Huge windows everywhere showcase sweeping Sangre de Cristo, Ortiz and Sandia mountain vistas. 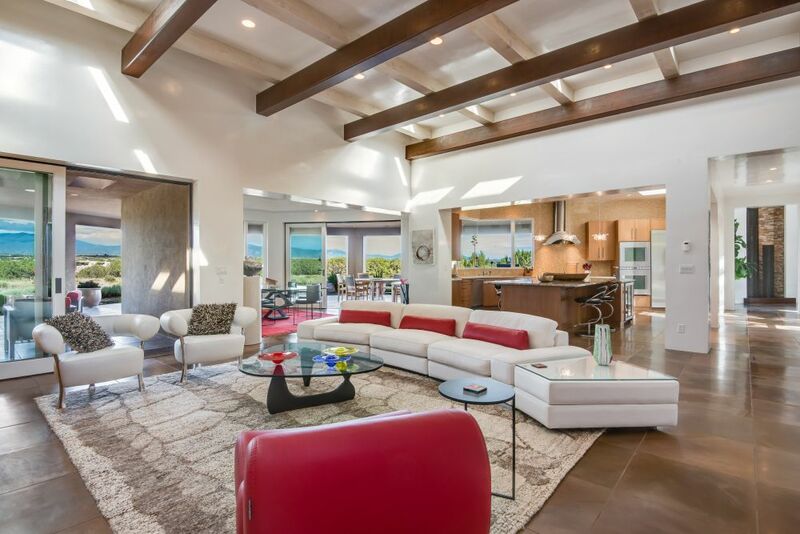 The open floor plan seamlessly merges sensational interior spaces with fantastic outdoor entertaining areas. 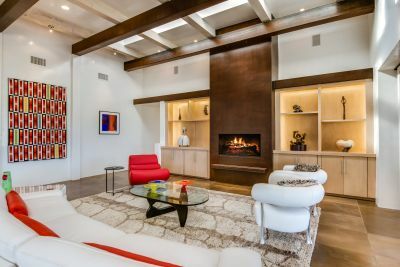 The impressive living room has an almost 14&apos; ceiling with rusted steel steel beams & long skylight, bronzed metal-clad fireplace and sleek cabinetry. 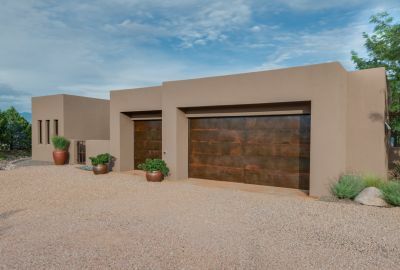 Gorgeous 24" chocolate sandstone floors extend outdoors. The dining room motorized stacking glass door opens to a wraparound portal with fireplace and marvelous living/dining & grill areas. 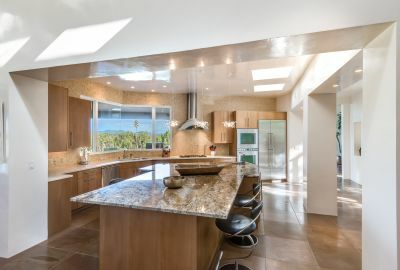 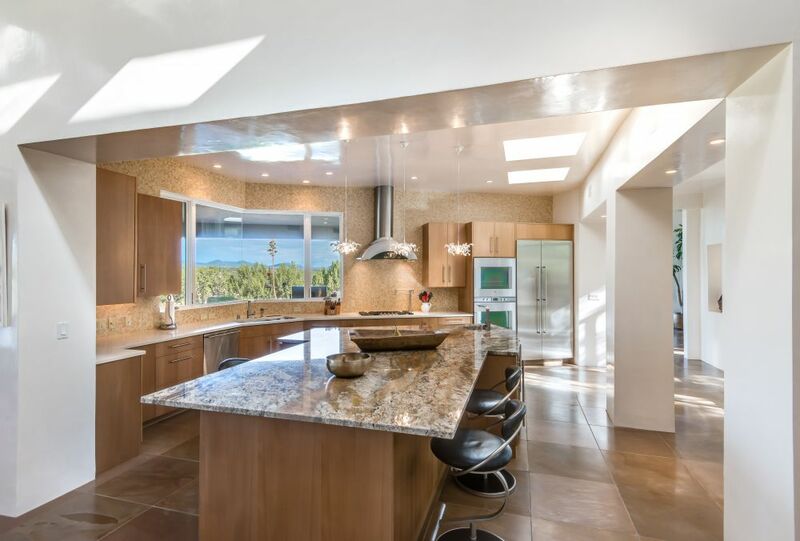 A fabulous kitchen open to living & dining rooms features a 12&apos; island with stunning granite counter, Gaggenau, Wolf & Subzero appliances, beech wood cabinet doors & Zodiaq Quartz counters. 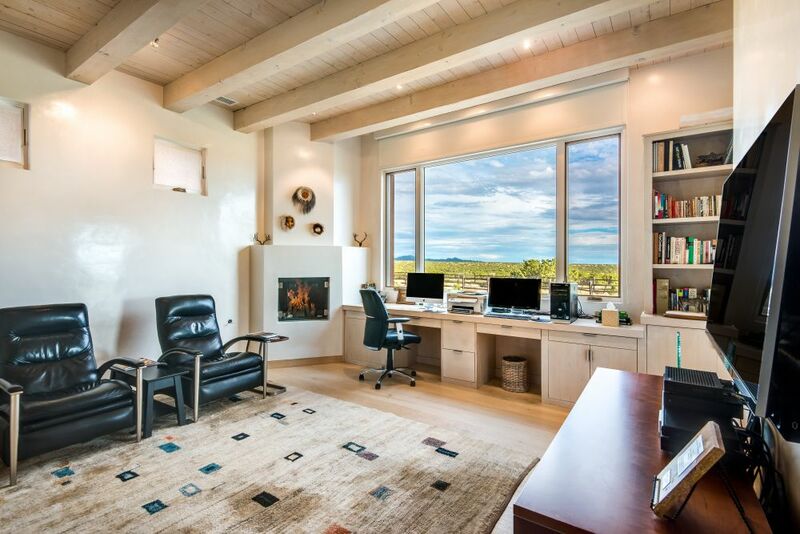 Superb study/media room with bleached oak floors, double desks, fireplace & portal. 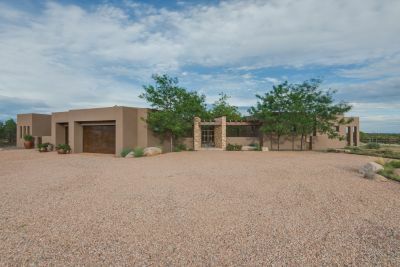 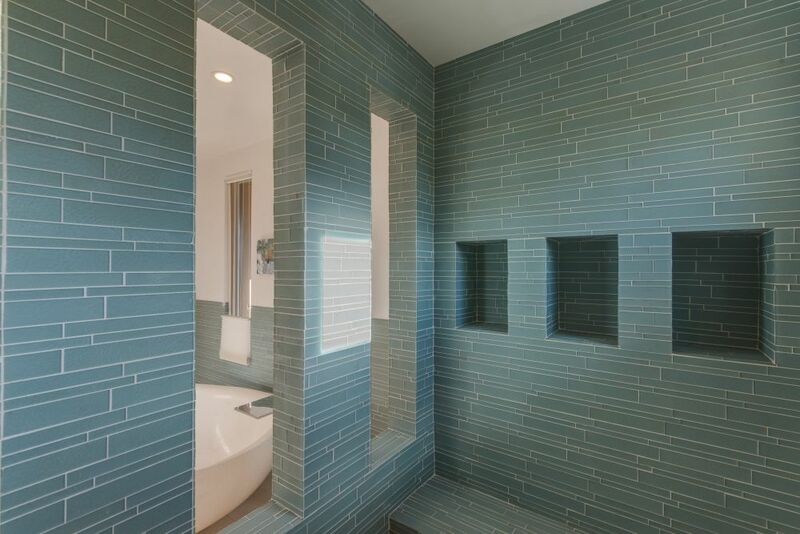 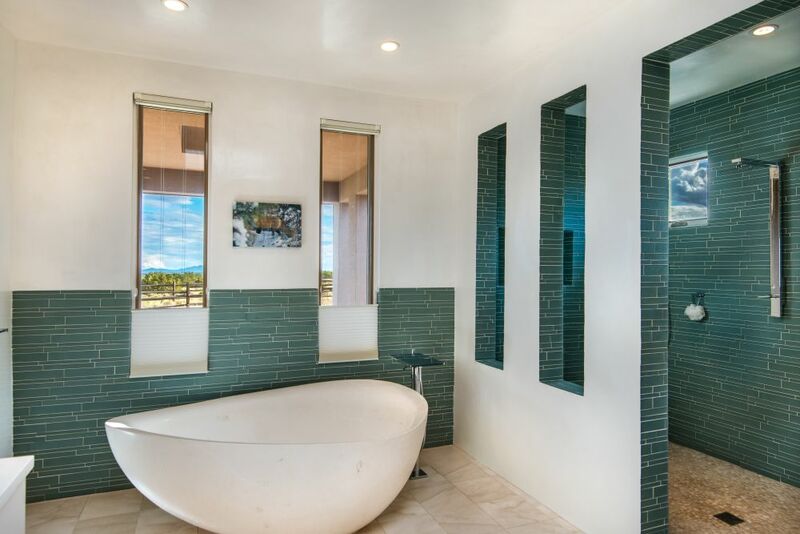 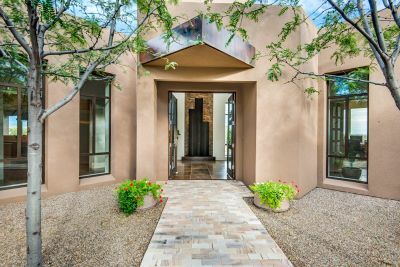 The spacious master has fireplace, wet bar, fitted walk-in closet, portal and Sandia & Ortiz views, and fabulous bath with Stone Forest limestone soaking tub & amazing glass tile shower. 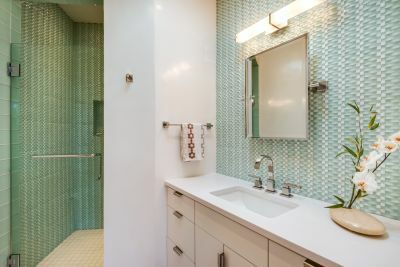 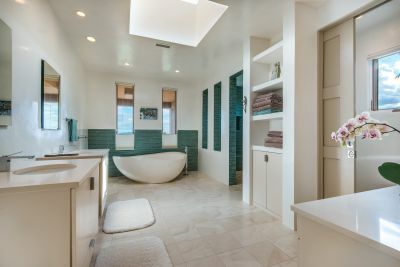 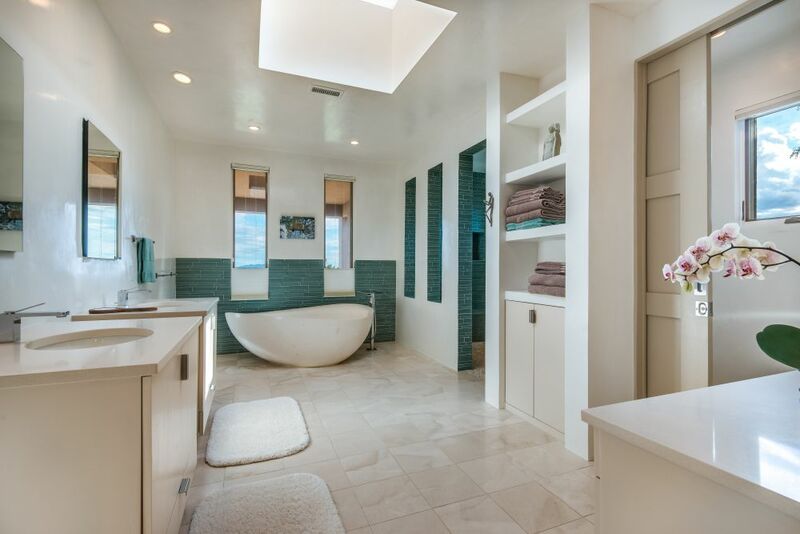 Two guestroom wing has stunning en suite baths. 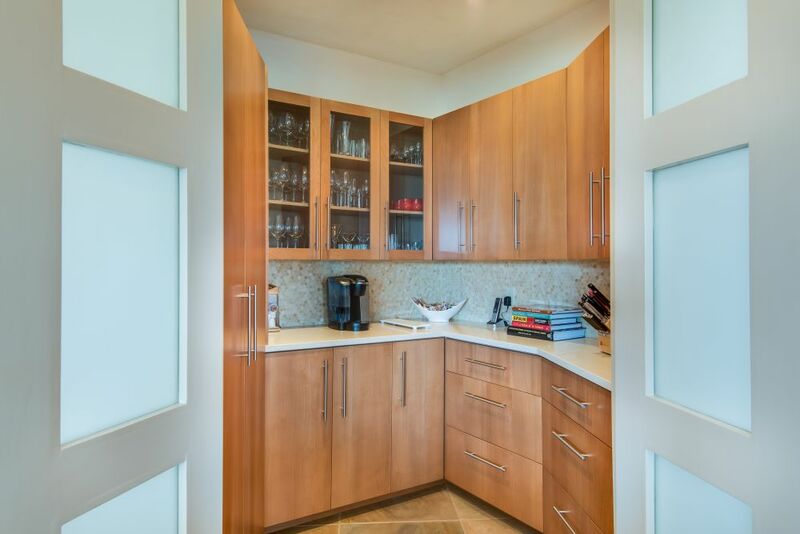 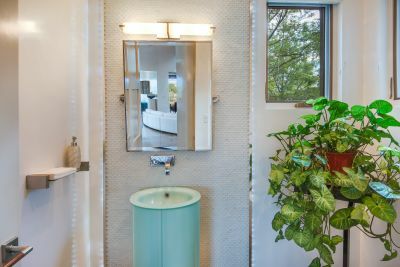 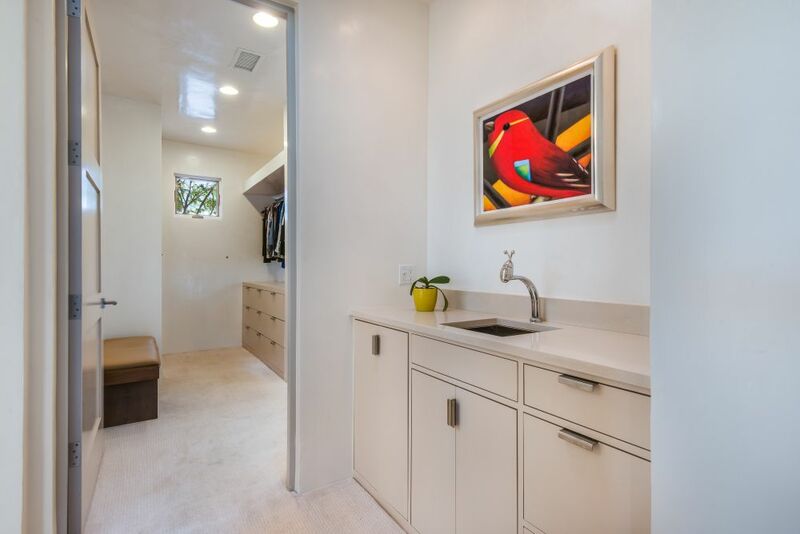 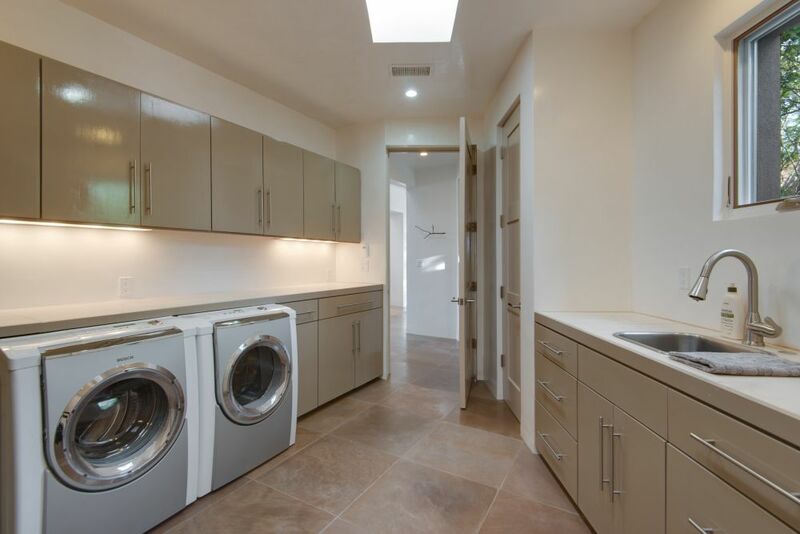 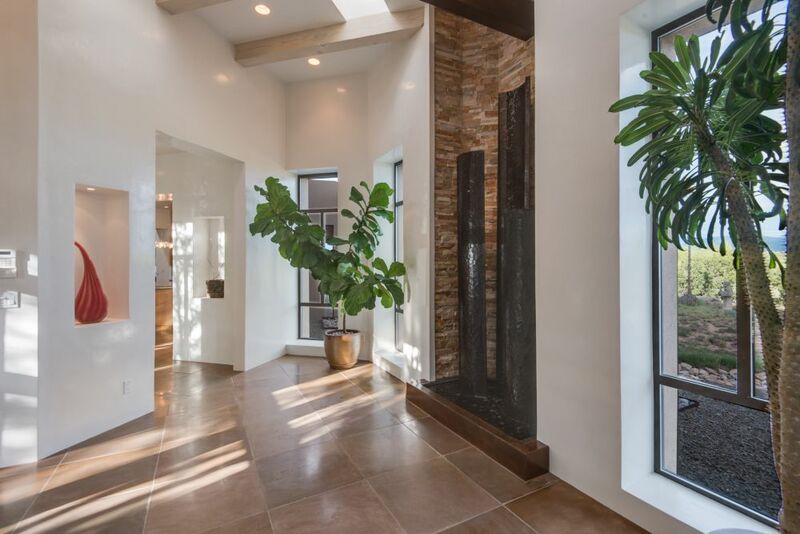 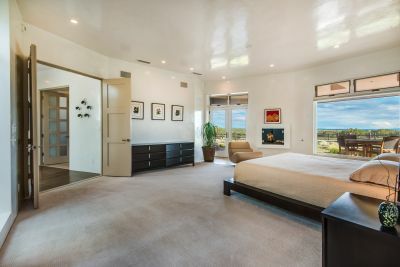 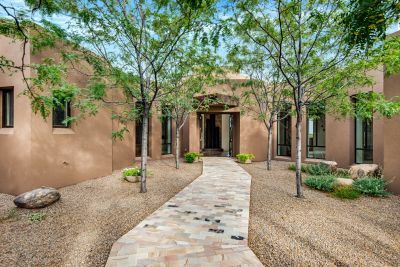 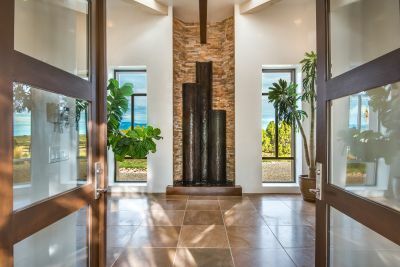 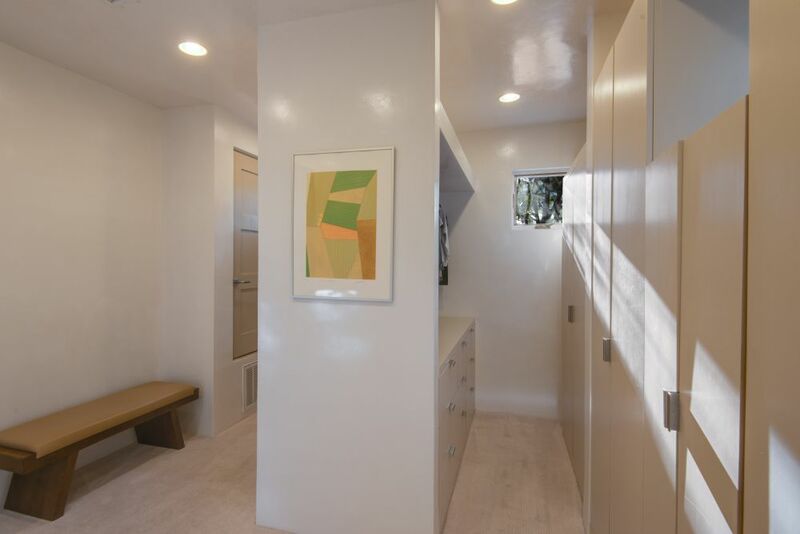 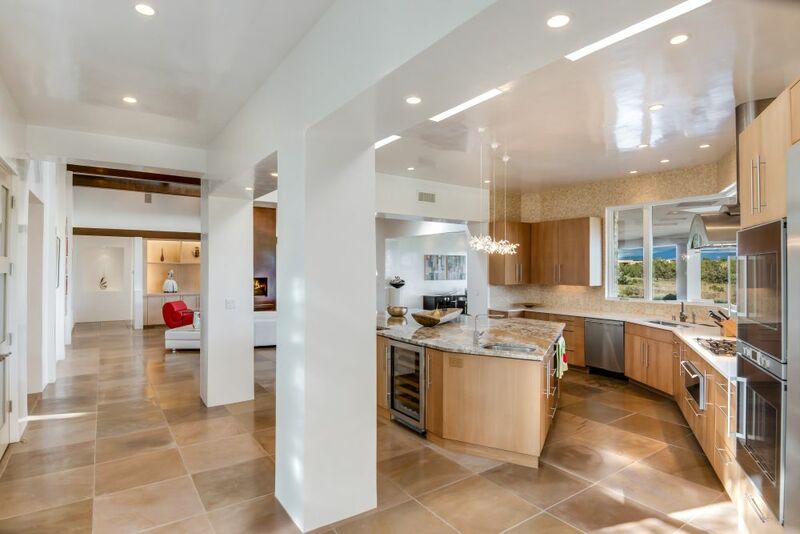 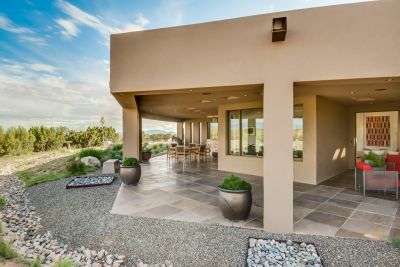 Other amenities include diamond plaster walls, an 800 bottle wine cabinet, built in speakers, 3 car heated garage, beautiful xeriscaping & rainwater harvesting system. Guest house permitted on lot. 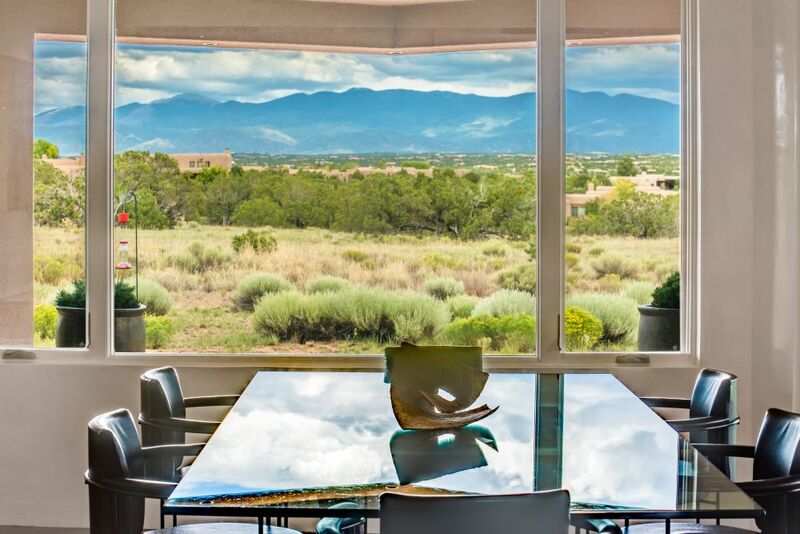 Purchase Las Campanas Club Membership for outstanding spa, tennis dining, golf, equestrian and social activities.